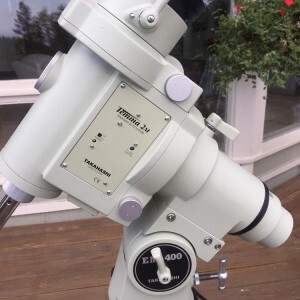 Takahashi EM-400 Temma 2M Mount PENDING Sold! 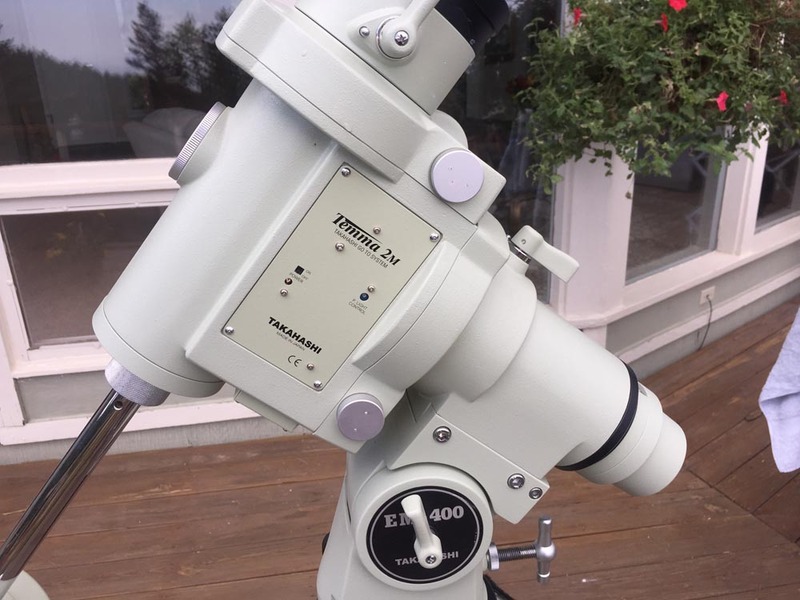 For sale is a Takahashi EM400 mount, with hand paddle, AC power supply, 2 counter weights, instruction book and scope guard case. This is the “2M” version which operates at full speed slewing with 12 volts. 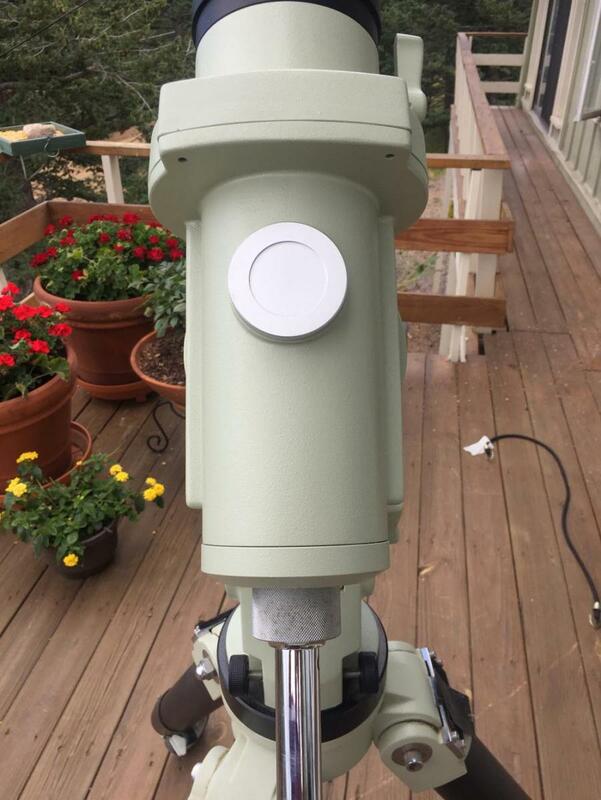 The mount is in superb cosmetic and functional condition. 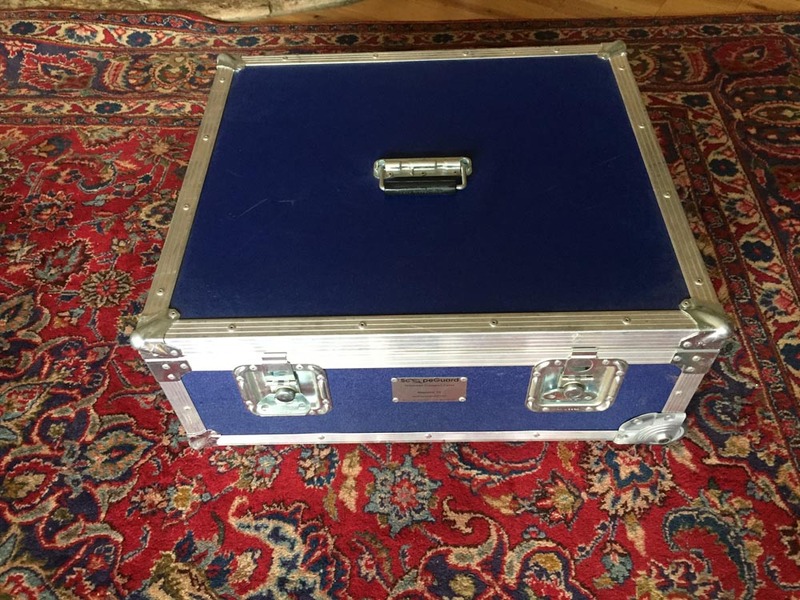 It was unused until I purchased it last year. 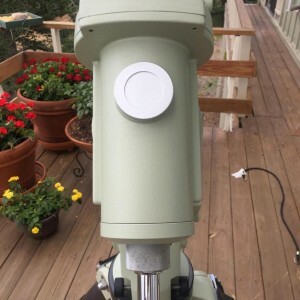 The scope guard case shows minor wear. This mount is rated at 85 pounds, and easily handled my 65 pound load with a TOA-150, camera, scope counter weight and filter wheel. 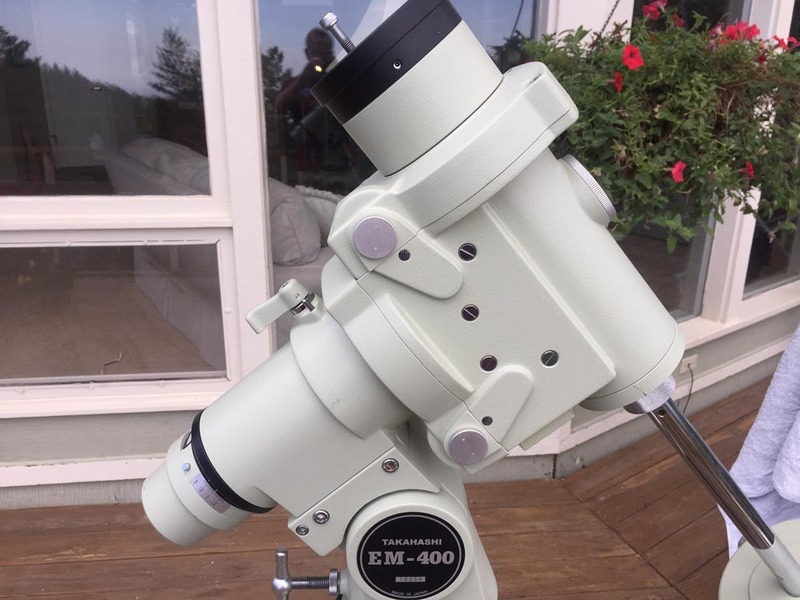 The EM-400 consists of three separate components to facilitate easier transportation and setup. The R.A. & Dec assembly, the alt/az base assembly, and the counterweight shaft. The R.A. & Dec assembly is the heaviest component at 49 lbs (22.3kgs). 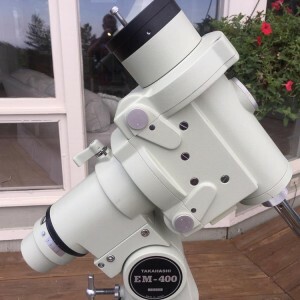 The Takahashi EM400 polar alignment scope has an 11X eyepiece and reticle that enables polar alignment to within to three arc minutes of the celestial pole. 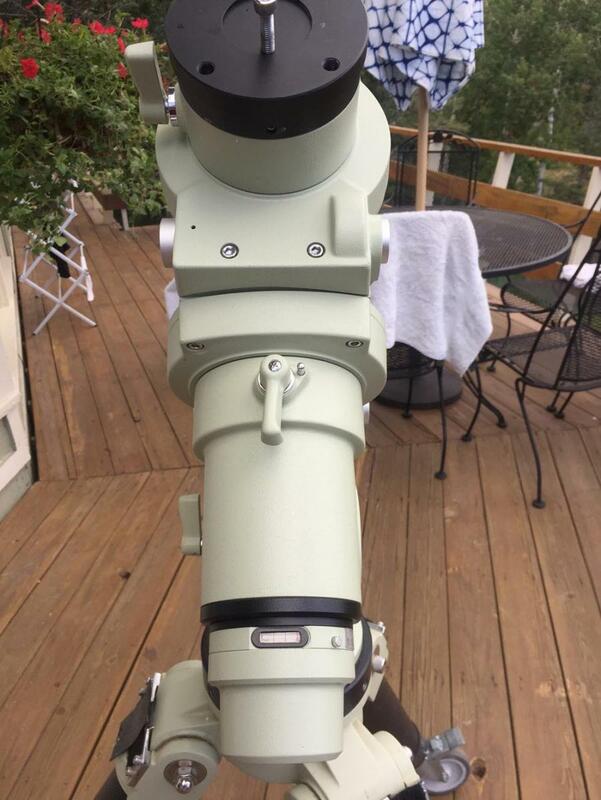 It is quite easy to use by rotating the polar scope reticle so that the date and time line up. 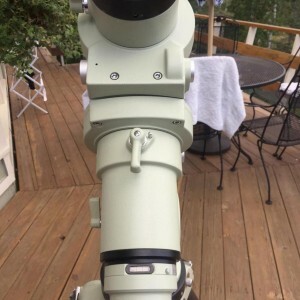 I have found polar alignment can be done in minutes without the need for drift alignment. I have taken 30 minute subs with this alignment approach alone with wonderful results. Mount does not include the tripod. 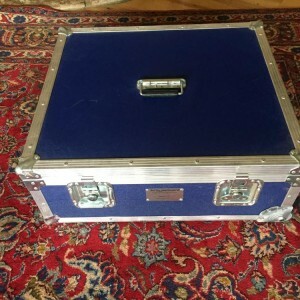 It will ship in the scope guard case, with the outside of the case covered with cardboard to protect the surface. I would of course prefer a local pickup, but will entertain offers to meet halfway from you to Boulder, Colorado. Buyer pays for shipping.